The Docks Apartments price per day from € 90 This historic waterfront house in the Harbour Village of Paul do Mar offers modern, self catering apartments with panoramic views of the Atlantic Ocean. The fully equipped kitchen contains a microwave, oven and refrigerator for self-catering. Quinta Vista Mar do Arco Offering sea views from a hilltop location in Arco da Calheta, above Calheta village, Quinta Vista Mar do Arco is set is a 3600 m² property and offers 2 detached houses. There is a studio and a 3-bedroom house, both units share outdoor areas with sun lounges, dining areas and Atlantic Ocean views, surrounded by gardens and fruit trees. 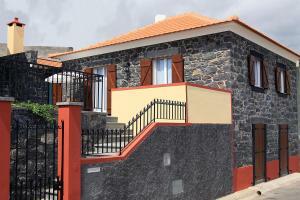 Refugio do Doutor Refugio do Doutor is a self-catering accommodation located in Calheta, Madeira Island. The property offers panoramic views of the Atlantic Ocean and is 1 There is a private bathroom with a shower, a hairdryer and free toiletries. The city of Funchal is 33 km away and Cape Girão is 22 km away. Madeira holiday house Located in the Calheta area of Madeira, Madeira Holiday House offers accommodation for 4 persons and proximity to some levada hiking trails. Alternatively guests can taste the local cuisine by visiting the restaurants available within 2 km. Also at Calheta, guests can enjoy the sandy beach and the various sports facilities available..
Atlantis Country House Offering panoramic views over the Atlantic Ocean, this recently restored house is located in a privileged area of Calheta, Madeira Island. Offering rustic-style architecture, the house combines exposed stone walls with wooden beams on the ceiling. Atlantis Country House has 2 double bedrooms and a bathroom with a shower..
Casa Do Pilrao Located 35 Km from Funchal in the southwest coast of Madeira island, Casa do Pilrao, offers panoramic views of the sea and the mountains. The 2 bathrooms, one of them ensuite, include a bath, a shower and a bidet. This Side of Paradise This Side of Paradise features a private green garden and a large outdoor swimming pool. The villa has wide windows which allow for a panoramic view over the Atlantic Ocean. 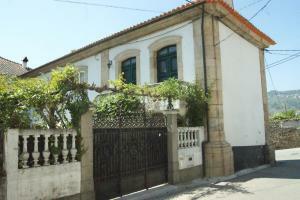 Casa da Praia Casa da Praia is a 2-bedroom home with a solarium, just a 2-minute walk from the sandy Calheta Beach. The home includes a private entrance, seating area with a sofa and flat-screen TV, free WiFi, private bathroom with free toiletries and a hairdryer, equipped kitchen and separate dining area. 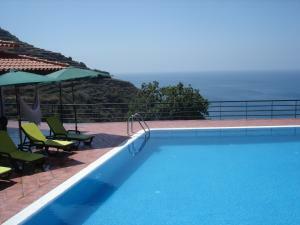 Villa do Mar II Villa do Mar II is a villa with an outdoor pool, set in Calheta. 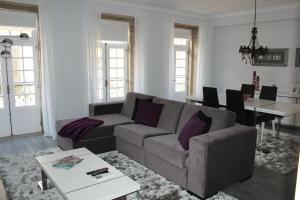 The property is 23 km from Funchal and free private parking is featured. The kitchen has a dishwasher, an oven and a microwave, as well as a coffee machine. 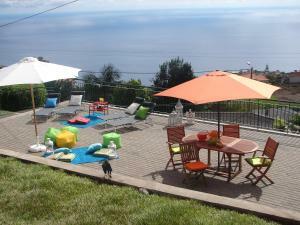 Other facilities at Villa do Mar II include a barbecue..
Cabo Girao, Funchal, 18 km from the centre of town of Calheta. Santa Catarina Park, Funchal, 26 km from the centre of town of Calheta. Museum Frederico de Freitas, Funchal, 26.4 km from the centre of town of Calheta. Botanical Garden Monte Palace, Funchal, 26.6 km from the centre of town of Calheta. Park Quinta do Boa Vista, Funchal, 27.9 km from the centre of town of Calheta. Golf club Palheiro, 30 km from the centre of town of Calheta. Palheiro Golf, Funchal, 30 km from the centre of town of Calheta.